Did you know that an attractive smile is the best way to make a good first impression? According to a study by the American Academy of Cosmetic Dentistry, 48 percent of adults think a smile is the most memorable feature after they meet someone for the first time. But your smile is also a good indicator of your overall oral hygiene, so it’s important that you do everything you can to keep it sparkling. You should already be brushing at least twice a day, ideally after every meal. But just as important is the way you brush. For the best results, hold the brush at a 45-degree angle where the teeth and gums meet and apply circular strokes across the surface of the teeth, front and back. The goal is to remove residue from the tooth enamel so it does not turn into plaque and cause decay and other problems down the line. For proper oral hygiene, it would also be wise to invest in a good, soft-bristled toothbrush, and don’t forget to replace it every 3-4 months to cut down on bacteria. Flossing at least once a day can help remove harmful plaque, food residue, and bacteria from between the teeth and near the gum lines. We recommend using waxed floss, as it slides across the tooth surface easier. It’s an important step in preventing or reversing gum disease, a dental issue affecting half of Americans over the age of 30. Limit your intake of sweets, which have a tendency to stick to teeth for longer, increasing your risk for cavities and plaque. For a whiter smile, you will also want to stay away from food and beverages that can stain your teeth, like soda, coffee, tea, alcohol, and dark berries. Instead, make sure you are getting enough calcium and vitamin D, which strengthen the bones around the teeth. You should also consider using a fluoride mouthwash – or at the very least, a toothpaste that contains fluoride. There are many health benefits that come with drinking water. From improving your skin, to giving you a natural energy boost, water is a calorie and sugar-free way to stay hydrated. It should come as no surprise, then, that drinking water is beneficial for your oral hygiene as well. When you can’t brush or floss, water is the next best way to rinse bacteria off of your teeth. If you live in a state that fluoridates the public drinking water, choosing to drink tap can come with extra benefits for the health of your teeth. In addition to limiting dark liquids and sweets in your diet, refraining from smoking is critical to the long-term health of your teeth (and the rest of your body!). Not only can smoking cause aesthetic damage like staining, but it can lead to more serious complications like gum disease, tooth loss, and even mouth cancer. Visiting your dentist at least once a year is your best defense against dental issues that can dampen your smile. Routine cleanings remove any plaque that has built-up that could not be removed by brushing and flossing alone. 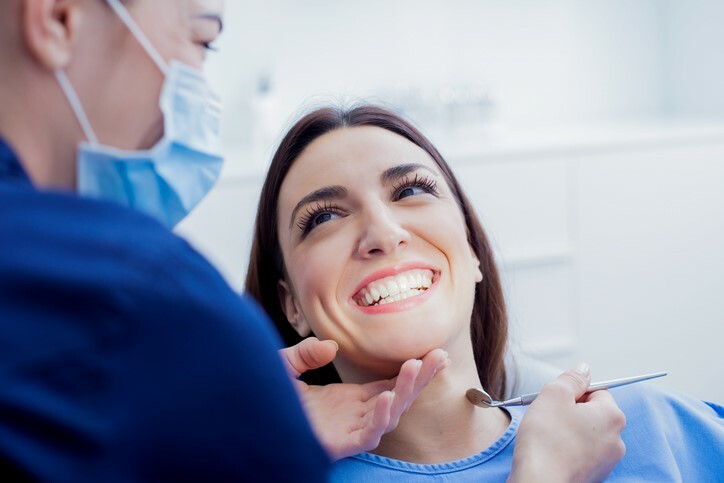 Your dentist or a dental specialist like a periodontist will also be able to alert you to any more worrisome conditions like advancing gum disease, abnormal bite, etc. When it comes to your smile, you don’t want to delay getting a professional opinion or beginning a treatment regimen. If you have suffered a traumatic injury or loss of any teeth, you should see a dentist or specialist as soon as possible. There are options that can help you regain both the appearance and functionality of any problematic areas of your mouth, including bone grafting, which is a way of rebuilding deteriorated or missing bone tissue. It’s never too late to start paying attention to your oral hygiene. Developing just a few positive, healthy habits is a sure way to achieve your very best smile. At Central Florida Periodontics and Implantology, friendly and professional dental advice is just a phone call away. Or better yet – you can fill out our information form online and we’ll contact you to set up an appointment.